The third song from Meri Pyaari Bindu – Yeh Jawaani Teri dropped today! 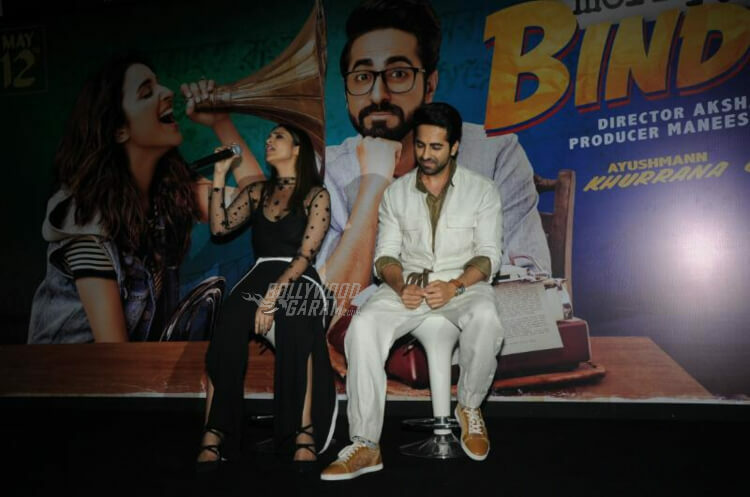 Lead actors of Meri Pyaari Bindu, Ayushmann Khurrana and Parineeti Chopra launched the third track from their upcoming movie, Yeh Jawaani Teri at a press conference today. 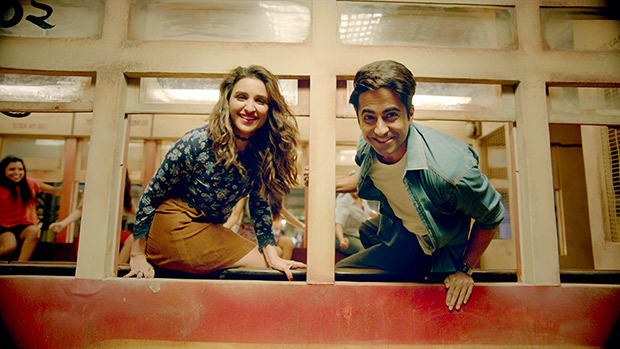 Previously, Maana Ki Hum Yaar Nahin, sung by Parineeti herself and Arijit Singh’s Haareya were released from the movie. The two tracks were a big hit with the audience and we’re hopeful that this one will be no exception. Yeh Jawaani Teri is a highly pumped song which will immediately transport you into the retro mood. The music video features both Parineeti and Ayushmann Khurrana dancing away to the beats in a berserk manner! Ayushmann Khurrana proves that he is a powerhouse of talent with his performance in the music video. The best part of Yeh Jawaani Teri’s official music video is it’s signature ‘hook step’. Abhi and Bindu absolutely crack the evergreen dance steps and they will definitely get you grooving in no time. 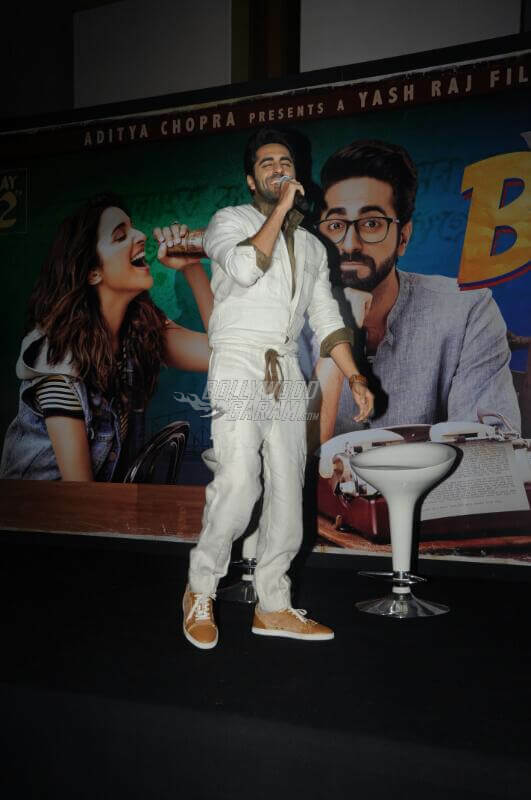 Moving on to the launch event of Yeh Jawaani Teri, is was a fun filled and light press conference with Ayushmann Khurrana and Parineeti Chopra singing a few lines from the song. The press conference was attended by the lead actors and director Akshay Roy. While Ayushmann Khurrana sported an all white look Parineeti went for an all black look – complimenting each other perfectly. 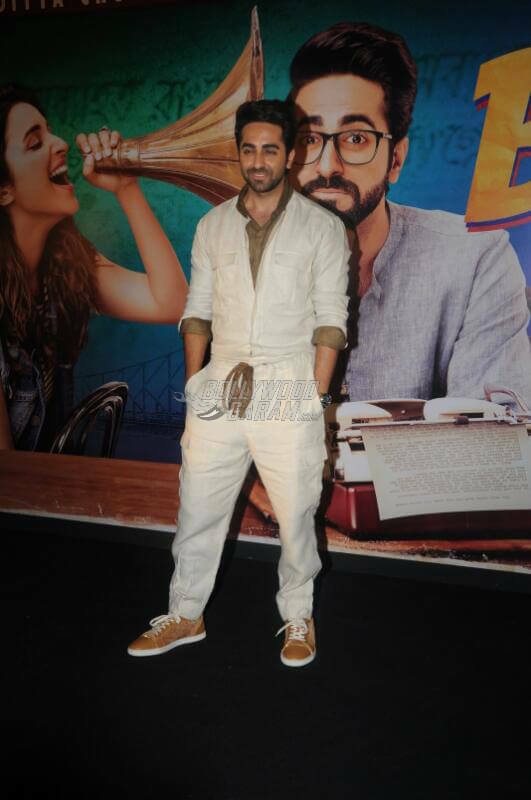 Ayushmann wore a white T-shirt paired with white track pants and Parineeti chose a black jumpsuit with a netted upper half and white highlights on the bottom. Next articleKarrle Tu Bhi Mohabbat Review - Sakshi Tanwar and Ram Kapoor steal our hearts!